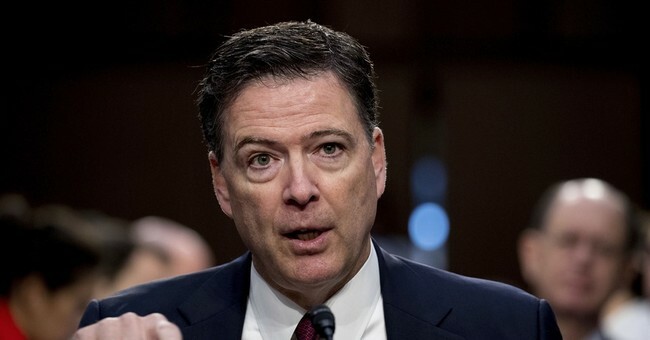 According to new transcripts released by the Senate Judiciary Committee Thursday afternoon, former FBI Director James Comey made the decision not to refer then Democrat presidential candidate Hillary Clinton for prosecution long before ever interviewing key witnesses. Members of the Committee allege Comey made the decision months before FBI agents were finished with the criminal investigation into her mishandling of classified information during her time as Secretary of State. "According to the unredacted portions of the transcripts, it appears that in April or early May of 2016, Mr. Comey had already decided he would issue a statement exonerating Secretary Clinton. That was long before FBI agents finished their work. Mr. Comey even circulated an early draft statement to select members of senior FBI leadership. The outcome of an investigation should not be prejudged while FBI agents are still hard at work trying to gather the facts," the letter, signed by Chairman Chuck Grassley and Committee member Lindsey Graham states. "Conclusion first, fact-gathering second—that’s no way to run an investigation. The FBI should be held to a higher standard than that, especially in a matter of such great public interest and controversy." "It is unclear whether the FBI agents actually investigating the case were aware that Mr. Comey had already decided on the investigation’s outcome while their work was ongoing. However, it appears that the answer to that question may be underneath some of the extensive redactions that the Department made to the transcripts," the letter continues.